The original design for the tying of the world famous Klinkhamer nymphs. Also good for many emerger/ buzzer patterns. Please note that these are the new Klinkhamer sizes and much more in keeping with standard hook sizes. 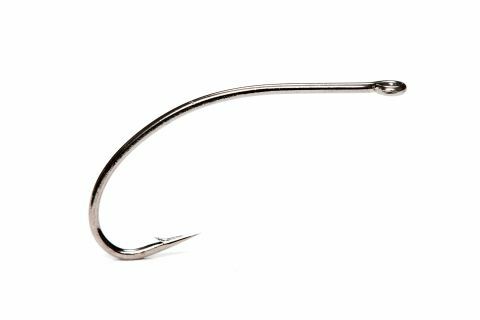 When Klinkhamer patterns were introduced back in the 1990's they were purposely oversized to reflect the gape of the hook when fully dressed. This has confused fly dressers as their sizing did not conform with the standard Redditch scale. This has now been corrected.